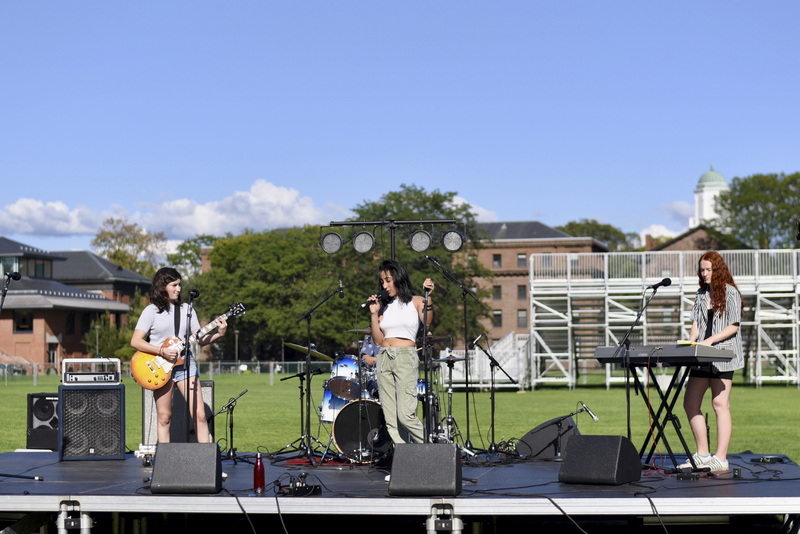 As a freshman, I had no idea what to expect from the MASH, this weekend’s music festival offering a taste of Wesleyan’s music scene. With three stages boasting simultaneous performances, it was difficult to make it to all the music. 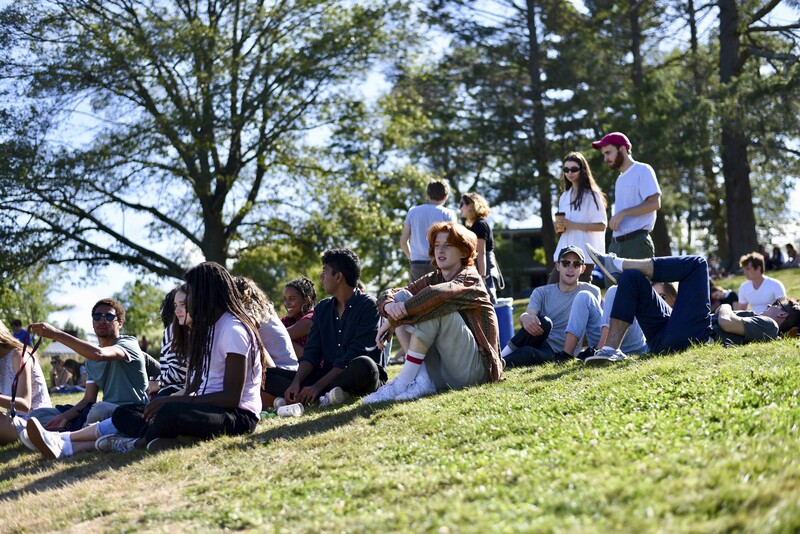 Each stage showcased incredible talent, from soft piano ballads to smooth R&B throwbacks, with each diverse act bringing something to the table. I kicked off my first MASH festival on the main stage at Foss Hill, where crossover quintet Bonanza opened the series of artists. The band performed a twenty-minute set that blended funk, psychedelia, and new wave. I got to chat with Bonanza for a couple minutes before their set, where they told me they formed last year after a spontaneous performance. Lead guitarist Matthew Forker ’19 called their closing number, “Time of the Harvest,” his favorite part of their set. 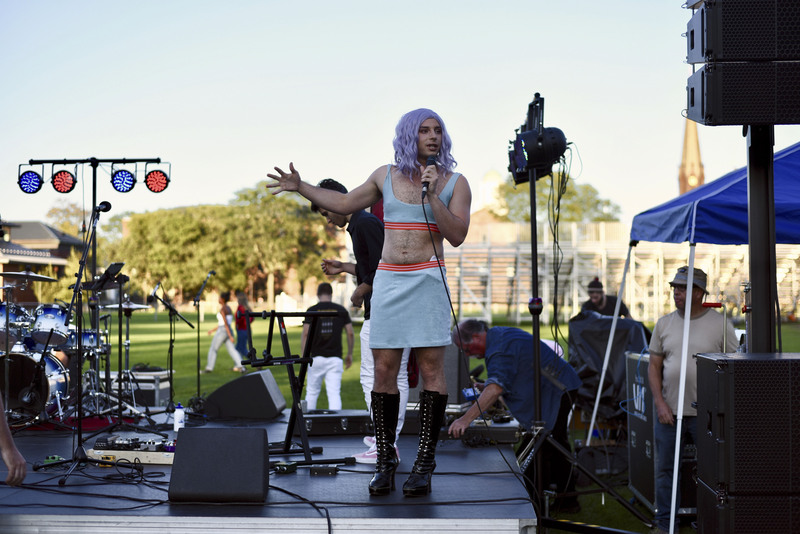 “[We were] very comfortable on the stage at that point, and there was a lot of nice communication going on during that song,” Forker said. Lead bassist Jeremy Freeman ’18 sported a Pikachu onesie while playing smooth bass lines. Bonanza set the bar for the rest of the Foss Hill acts with a set that the crowd responded to with enthusiasm and appreciation. Good Morning CT followed Bonanza with a nostalgic performance that fed off the laid back quality of Bonanza’s set. Their rendition of the classic Jackson 5 hit “I Want You Back” created the same type of warmth that listeners associate with the original version, but brought something new to the experience with gentler, more modernized vocals. 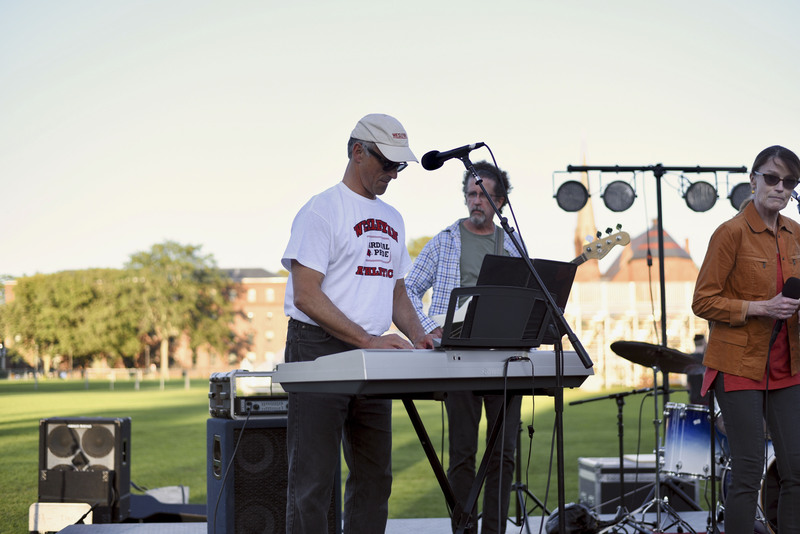 The band debuted at last year’s Battle of the Bands, going up against more established senior groups after only a few months of preparation. 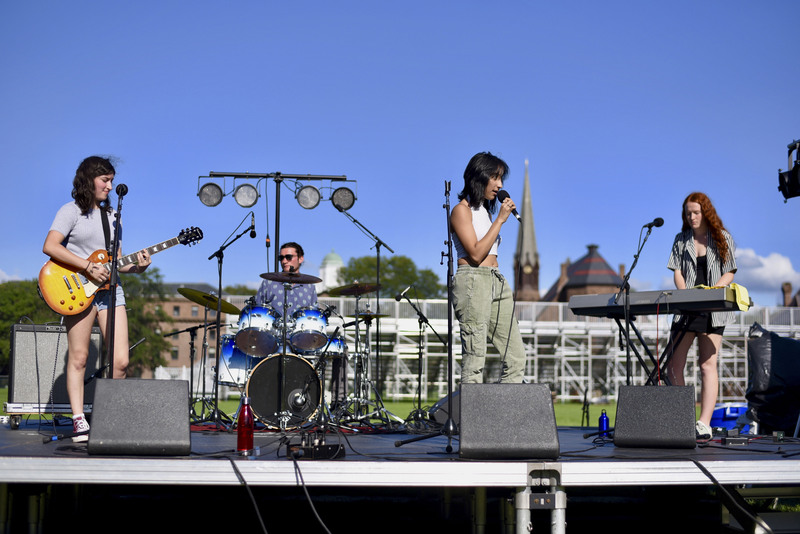 Although they did not take the crown, Ava Thornton’s ’20 bluesy vocals and the band’s perky energy won them a large, emergent fan base on campus. 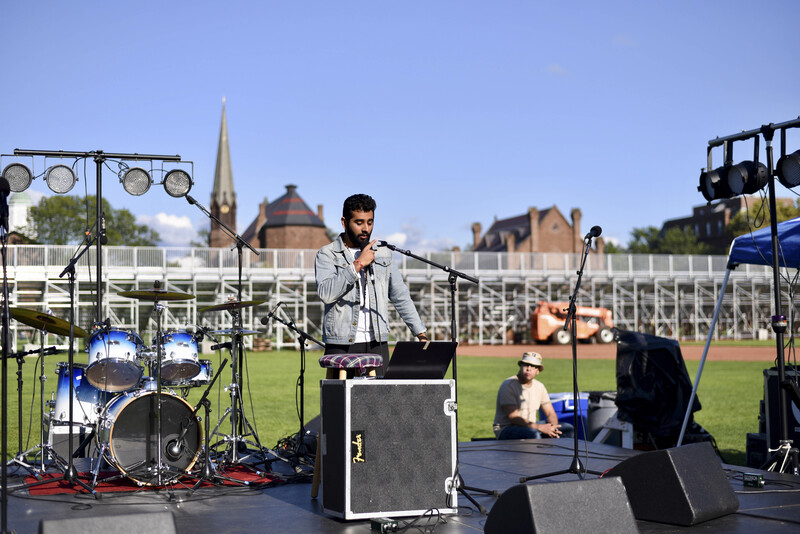 Good Morning CT’s performance, which also included a cover of Roy Ayers Ubiquity’s “Everybody Loves the Sunshine,” drew on the excitement that comes from hearing a familiar track with a new twist. As Good Morning CT wrapped up, I headed towards the Olin Stage to listen to moving originals by Savannah Jeffreys ’18. Savannah used the time in between her songs to show the audience another side of her, making the crowd laugh with little jokes. (One came in the form of a request that the audience slides into her DMs if they liked her songs.) She was my favorite act, and I have been listening to her Soundcloud all weekend. Soon after, I headed towards the North College Stage to see Cicero Presley (Jace Arouet ’21) perform his own emo rap songs. The first freshman to play at MASH, Presley had some big shoes to fill, and he did not disappoint. The 20-minute set delivered introspective lyrics about Cicero’s life. One highlight was a track called “Cicero Pressleaze,” which blended orchestral sounds with hip hop kicks. 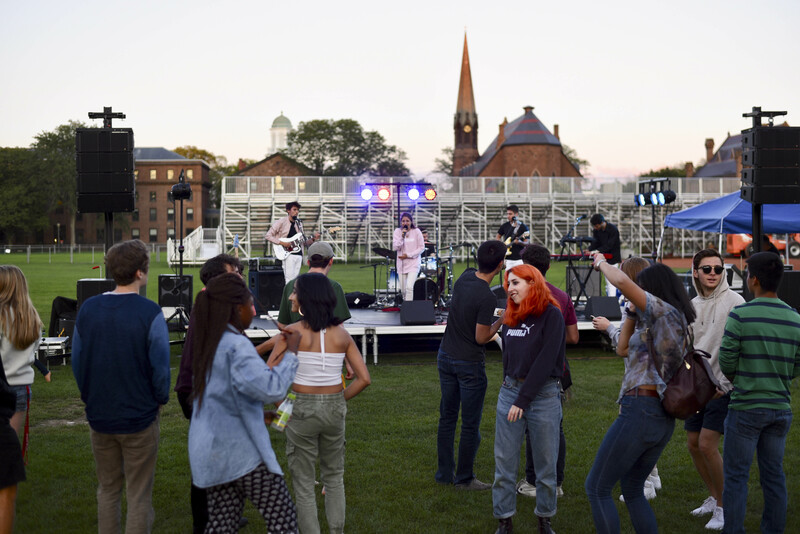 Another highlight was the calmer “Autumn.” He ended his set playing bass, accompanied by Alex Tripp ’21 on electric guitar, which resulted in a mini instrumental battle between the two performers. 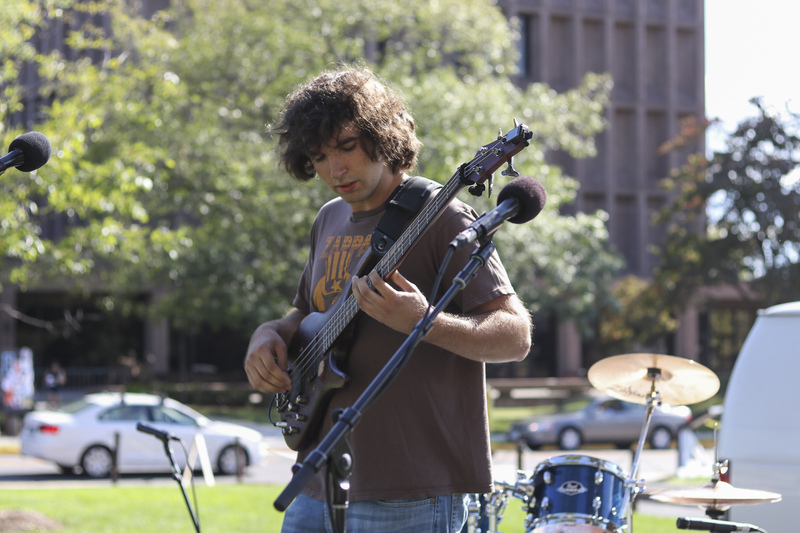 Over on the Olin stage, Johnnie Gilmore ’18 shredded bass in a solo performance after both his former bands, Rui Barbosa and Nice Driveway, dissolved when key members graduated. For most, one bass does not make a compelling band, but Gilmore held more than his own even without accompaniment. In a cloud of curly hair and deft fingers, the senior rocked both covers and original work, including a piece inspired by his Netflix binge of “The West Wing.” Gilmore had spent the summer busking in the Boston area, living, breathing, and mastering his instrument, and his thorough devotion to the music shone through in his performance. Tasty Desert Creatures finished the North College stage with a brief, rock-dominated set. 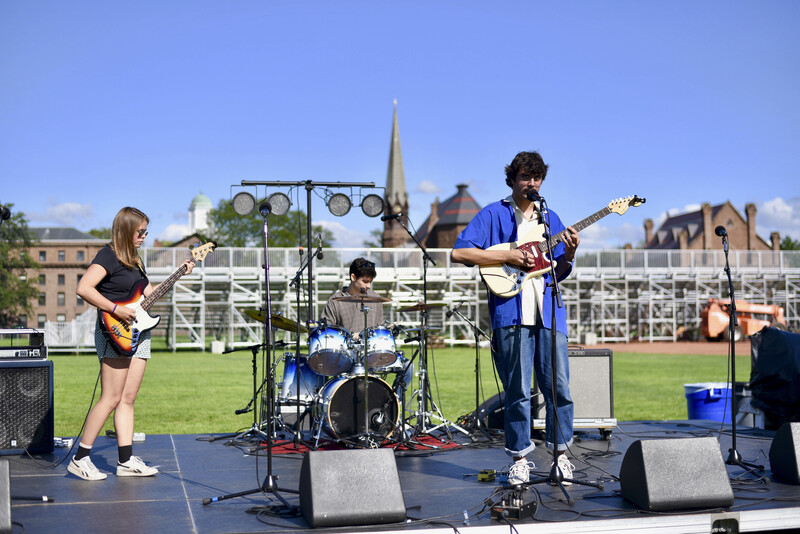 The band featured Dontay Downer ’19 and Adam Manson ’19 (both on guitar), with Henry Hodder ’20 on bass and Becket Cerny ’19 on drums. Although the music was predominantly instrumental, the performance featured a sizable amount of showmanship, mostly by Downer himself, who frequently cut into solos, playing the guitar backward behind his head. This was the band’s first time performing with Hodder, the only sophomore in the group, but the guitar-heavy sound clearly meshed well among them. 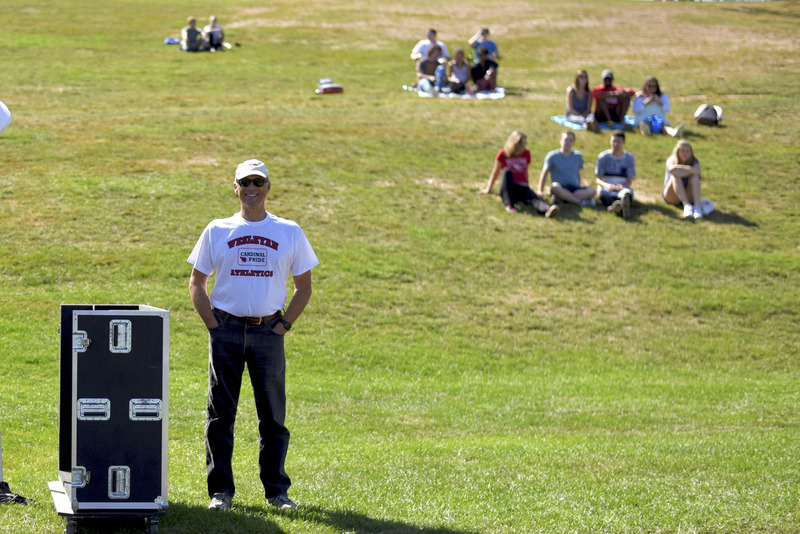 After 5 p.m., Foss Hill became the main stage for non-student performances. A surprise highlight of the evening show became The Basukes, a bassoon and ukelele duo led by Wesleyan’s own squash coach, Shona Kerr. The unlikely instrument pair covered a rousing version of the Black Eyed Peas’ “I Gotta Feeling,” with as much enthusiasm as we all remember from our bar mitzvah days and other awkward school dances. Jess Best, an alumni band, closed the MASH with funk and soul-inspired chords complemented by Jess’s clear, chirpy voice and sunny lyrics. 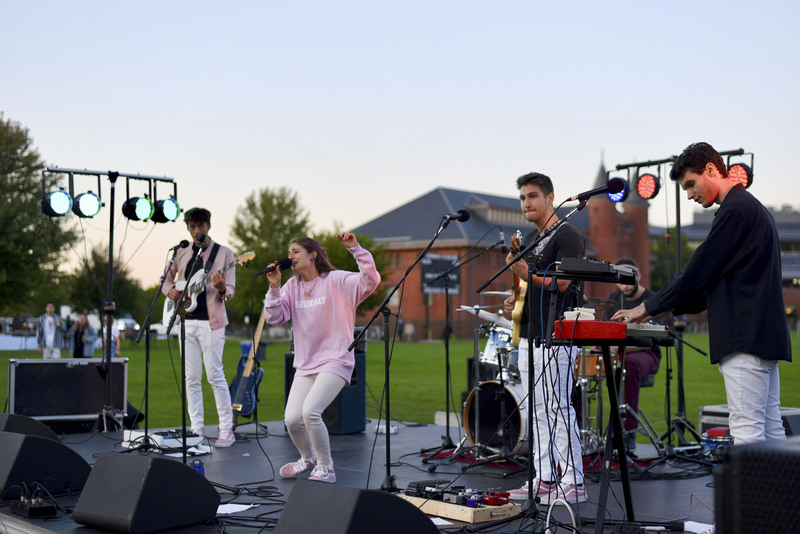 Promoting their new LP “Saturday,” Jess Best ended the festival on a decidedly joyful note, sporting millennial pink apparel that set the tone for the cute yet complex sound. 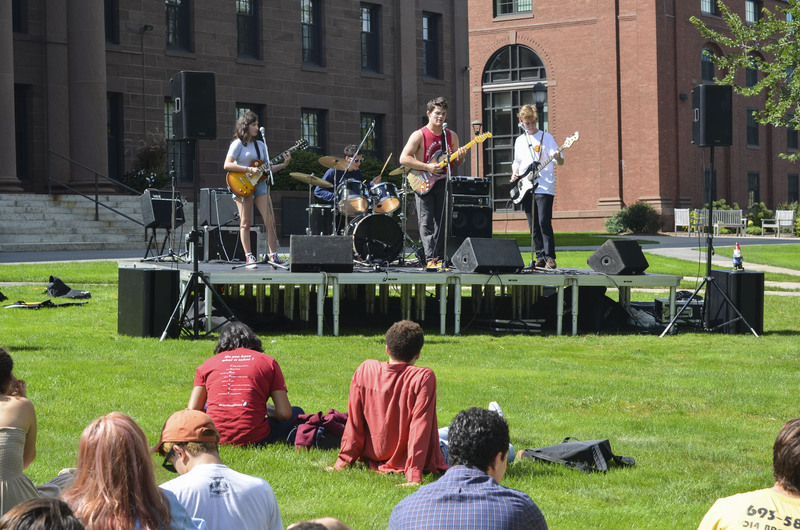 The MASH served as a varied and welcoming introduction to the Wesleyan music scene, demonstrating to newcomers the openness of the on-campus musical community. 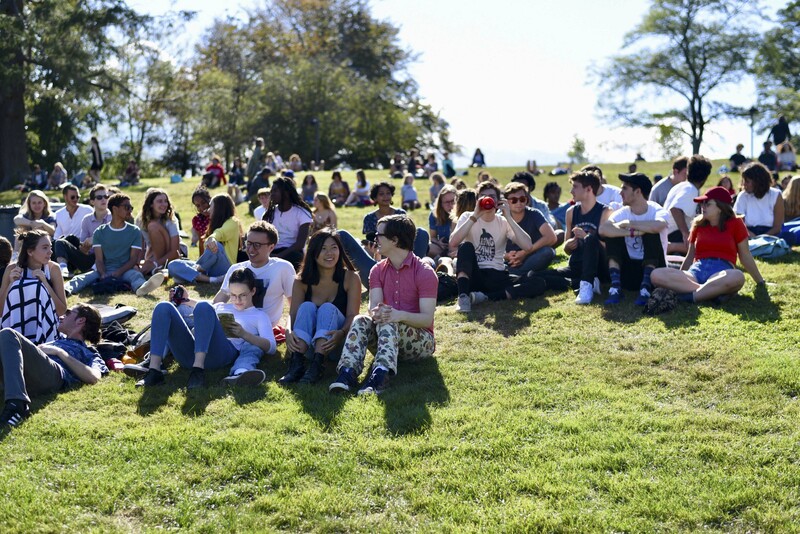 Many of the students watching the show agreed that this was a great opportunity for musicians to share their art with others. 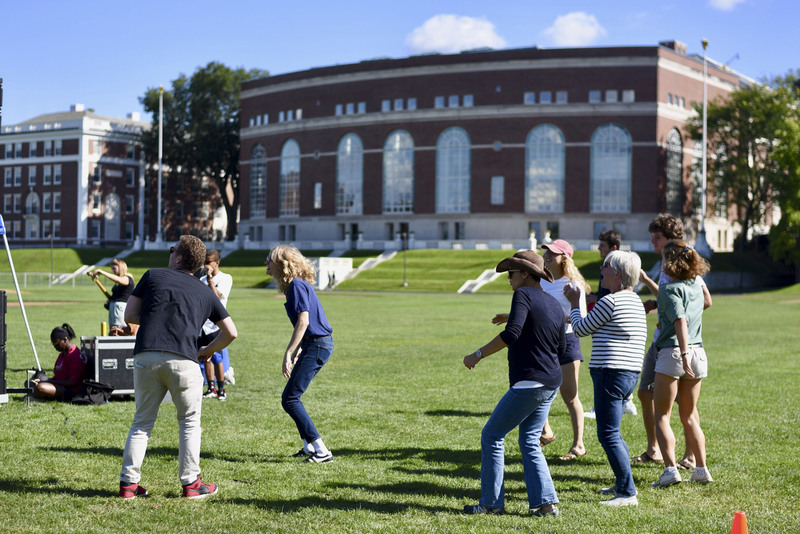 Matt Grimaldi ’21, called the MASH “the coolest thing I’ve seen on campus.” As a freshman just beginning to discover all that campus has to offer, I can’t wait to see what the future holds. Brooke Kushwaha contributed reporting to this article. She can be reached at bkushwaha@wesleyan.edu.